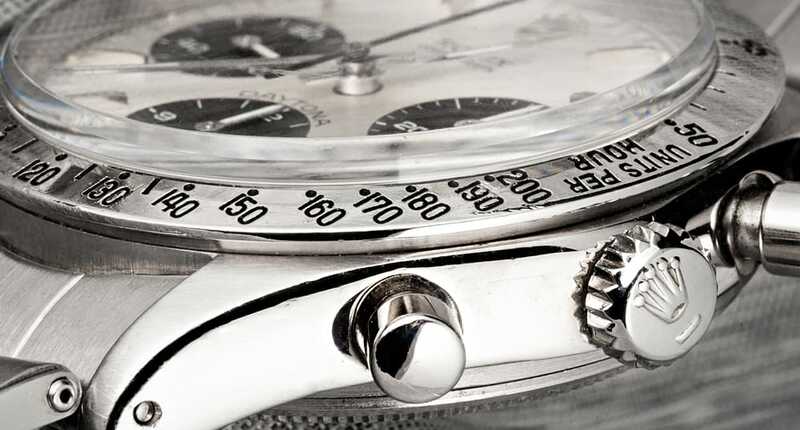 The Rolex Daytona, reference 6262 is one of the rarest vintage Rolex watches ever made. Produced for only a year in 1970, ref. 6262 was a transitional model. Rather than utilizing some of Rolex’s famous technological innovations, such as the “Oyster” case, ref. 6262 offered a combination of luxury and old-fashioned design. Seen by most as ostentatious and impractical, the Dayton ref. 6262 did not sell well, quickly being phased out and replaced with more modern and technically advanced models. Now, however, the Rolex Daytona, ref. 6262 is finally in demand, having become one of the rarest watches ever made by Rolex. Produced for only a year in 1970, ref. 6262, along with ref. 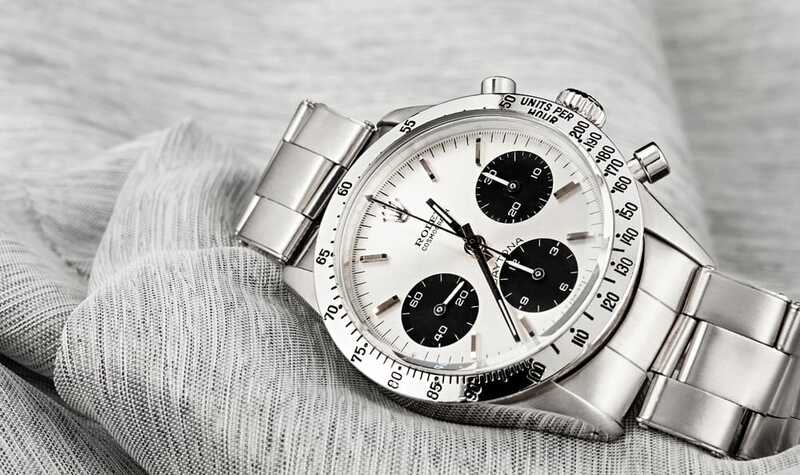 6238, 6239, and 6241, were the predecessors to the later vintage Oyster Daytona models. These transitional models were, in essence, business failures, but paved the way for later, extremely successful models. Because of its transitional state, ref. 6262 was produced in very small quantities. 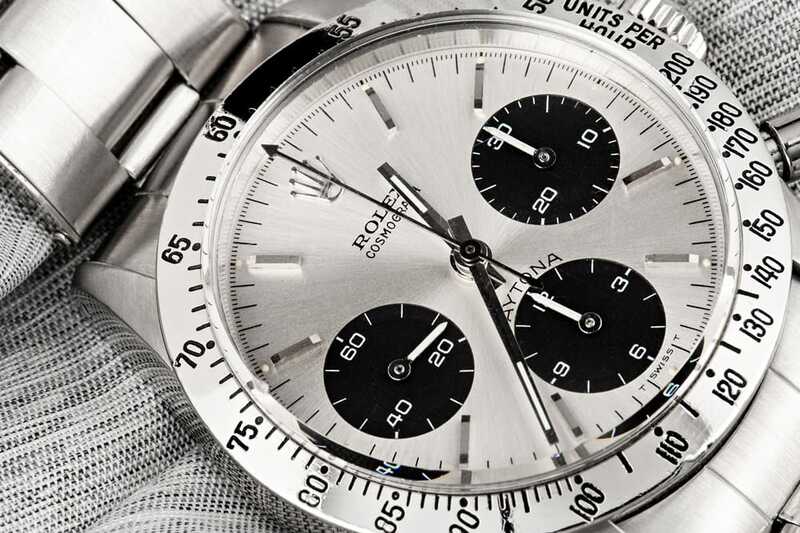 Marked with serial numbers 2.241.000 to 2.589.000, 347,000 Rolex Daytona ref. 6262’s were produced in 1970. Within this rather small production number, only around thirty 18k gold versions of ref. 6262 were even made. 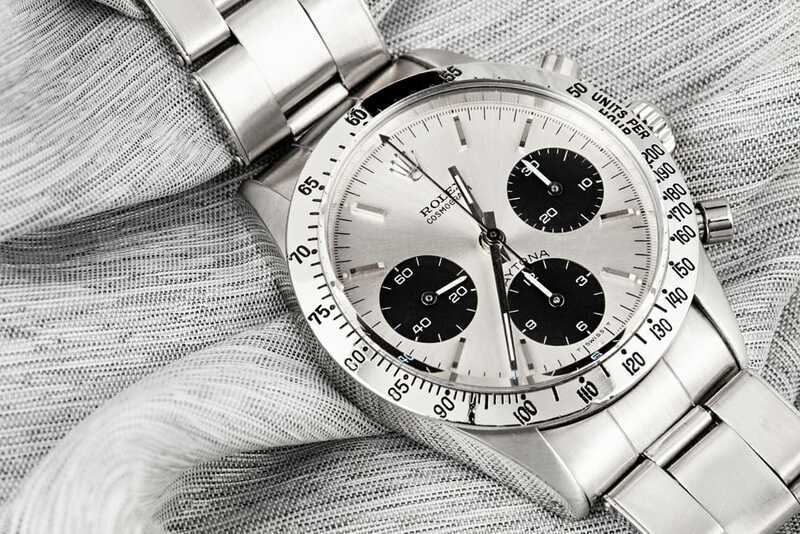 When initially introduced, the Daytona, ref. 6262 was not well received. Rather than offering the durability of other Rolex models, like the Submariner, ref. 6262 was quite fragile. Ref. 6262 was also expensive. The watch features many luxurious items, such as 17 jewels and applied baton numerals with luminous accents on the dial. The dial itself was available in several options. The majority of ref. 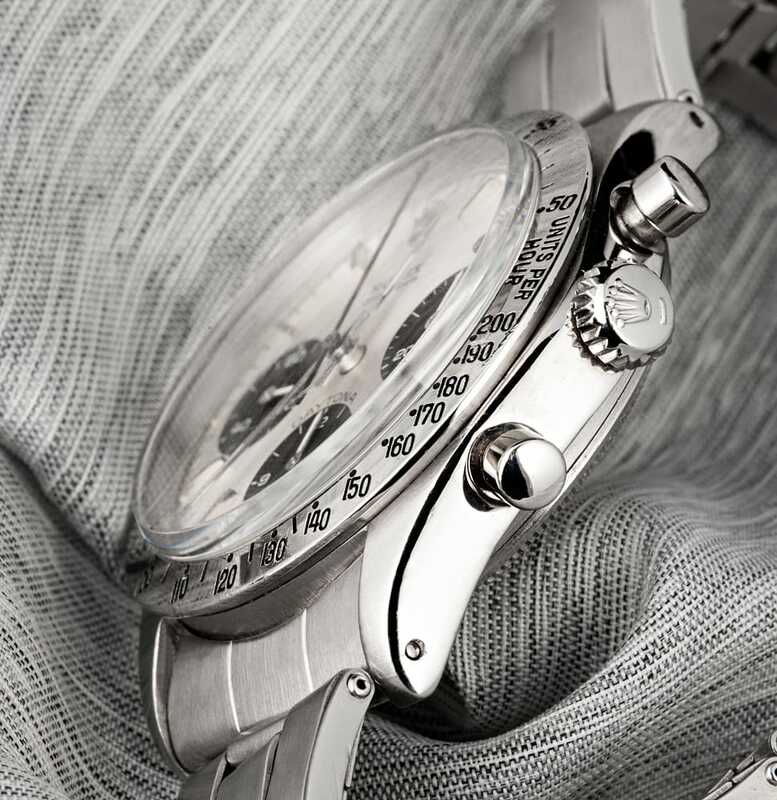 6262 timepieces were produced in steel, with the dial available in a white background and black register dials, or a black background with white register dials. The rare 18k gold version of ref. 6262 featured a similar design, but with a more harmonious champagne color replacing the white option. The dial’s most visual element is certainly its three mini register dials for second, minute, and hour readings, complete with luminous hands. Ref. 6262 is a far more bulky watch than many of Rolex’s more luxurious models, featuring a tonneau-shaped water-resistant type case, as opposed to the sleek Rolex “Oyster” case. Its size and bulkiness made it impractical for evening wear, while its fragility made it impractical for professional wear. Ref. 6262 also has to be manually wound, as it is equipped with a Rolex Cal. 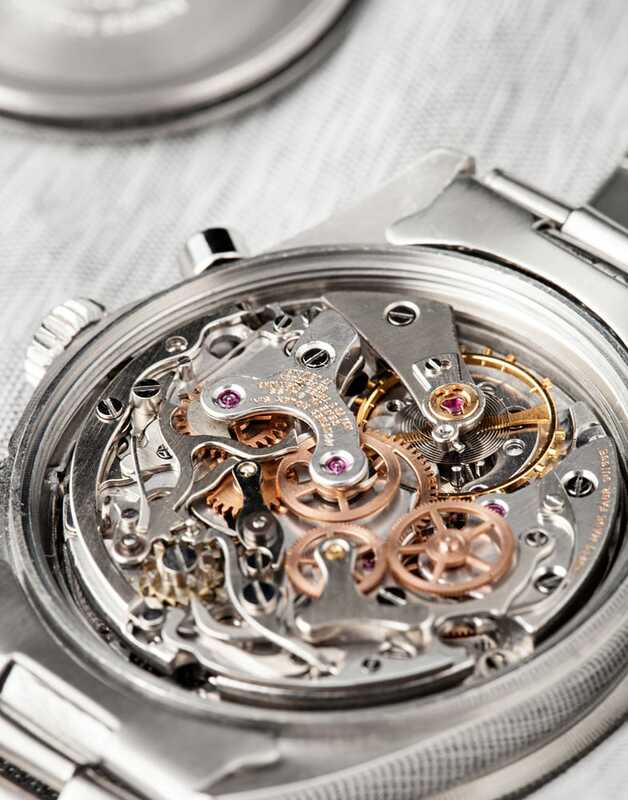 722 movement, a modified version of the Valjoux movement. This combination of factors made the watch impractical for the vast majority of Rolex customers, driving down demand for the Dayton ref. 6262. With only a small percentage of Rolex customers even remotely interested in the piece, it was quickly discontinued. Forty-plus years later, the Dayton ref. 6262 is now in high demand by collectors. Because of its rarity, both in design and numbers, this particular watch can fetch a high price. Though Rolex seems to have made a business error when designing and marketing this particular timepiece, collectors see it as a rare and valuable item, capturing a moment of Rolex history.